In case of an emergency, don't leave anything up to chance. 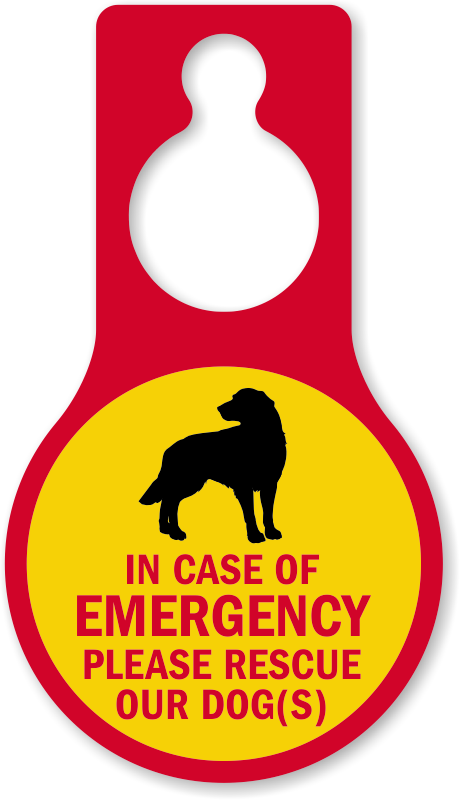 Ensure that your pets are well planned for by placing a Pet Rescue Sticker on your door or window. 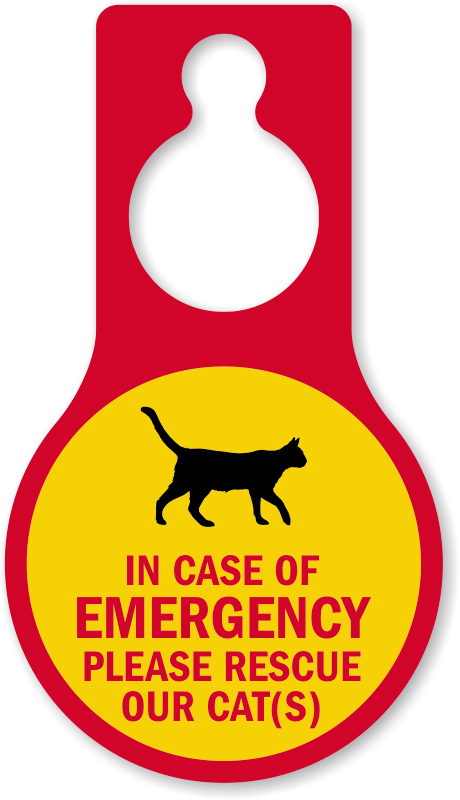 Pet Rescue Decals alert neighbors, firemen and passersby that there is a pet trapped inside the house. 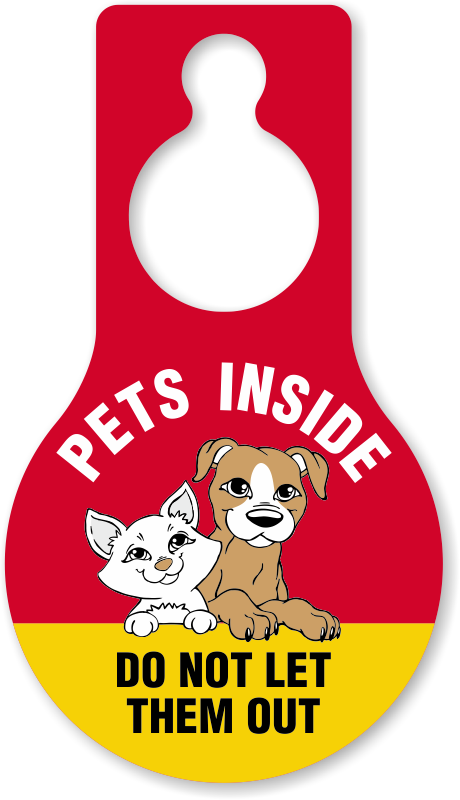 In case of a fire, pets cannot let themselves out of a locked door or closed window, so stickers are warning techniques. Pet Rescue Stickers come in a variety of designs, so you can find ones for cats, dogs, birds or a combination of pets. 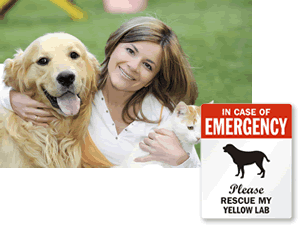 • Choose from Pet Rescue Stickers by wording or by animal type. We have stickers for birds, cats and over 30 different dog breeds. • Stickers stick on for good! While placing the sticker on the window, it is adjustable. Once you let it stick, however, it will stay on for years. • Pet Rescue Stickers are made with reflective material, so that they will shine when a flashlight or any other light is shone on them. Since emergencies can happen any time, day or night, it is crucial for stickers to be reflective and visible even in the dark. • Stickers are customizable for the exact number of pets that you have. Stickers have room on them for you to mark with a permanent marker how many dogs, cats, and birds emergency personnel should keep an eye out for. 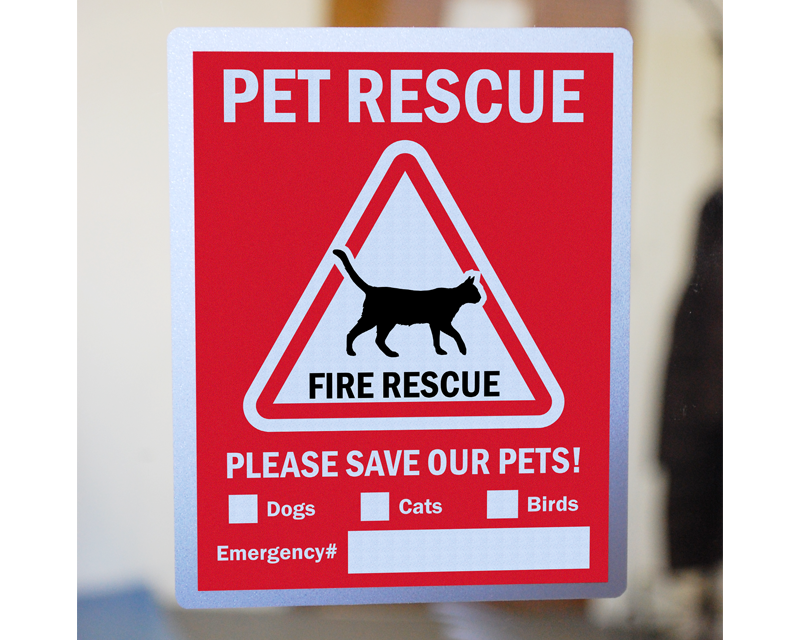 Simple, reflective Pet Rescue Stickers can make all the difference in an emergency. Does Your Cat or Dog Love You? We fell in love with these signs – and hope you do too!